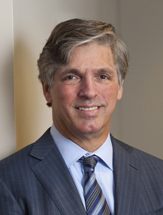 For more than thirty years, Edward Krugman has been achieving optimal outcomes for both plaintiffs and defendants in cases involving trade secrets and unfair competition, copyright, trademark and patent litigation, antitrust (litigation and counseling), employment (litigation and counseling), corporate governance (litigation and counseling), and direct selling (litigation and counseling). He has significant experience representing direct selling, manufacturing and financial services companies. Chambers USA has recognized Edward as a leading lawyer in the fields of general commercial litigation and antitrust and he has been honored as an Atlanta Super Lawyer every year since the award’s inception. He is a frequent lecturer, and has published numerous articles on trial practice and corporate litigation issues such as covenants not to compete and internal investigations. Edward currently serves on the State Bar of Georgia Board of Governors, Formal Advisory Opinion Board, and the Disciplinary Rules and Procedures Committee. Lead counsel on behalf of defendant in breach of contract and fraud case brought by representatives of major direct selling company seeking in excess of $10,000,000. The district court granted my client’s motion for summary judgment on the plaintiff’s claims and the case settled following a trial on the defendant’s claim for attorney’s fees. Lead counsel in AAA arbitration filed on behalf of a family-owned business against its exclusive distributor alleging breach of contract and Lanham Act claims. The panel awarded my client damages and attorneys’ fees in excess of $1,000,000 and injunctive relief under the Lanham Act. Lead counsel on behalf of public company and two employees it had hired from a competitor defending claims alleging theft of trade secrets. Lawsuits were filed in three different jurisdictions. The plaintiff eventually dismissed all cases. Part of trial team that won jury verdict for defendant in federal court on a breach of contract and breach of fiduciary duty action seeking over $100,000,000 in actual damages and additional punitive damages. The Eleventh Circuit affirmed the judgment on appeal. Co-counsel representing one of several defendants in antitrust class action filed in federal court by purchasers of cigarettes from the major tobacco companies. The district court granted the defendants’ motion for summary judgment. The Eleventh Circuit affirmed the judgment on appeal. Co-counsel in breach of contract case representing a major telecommunications company against its exclusive supplier of consumer electronics equipment. The district court rejected the supplier’s challenge to the exclusivity covenant. That ruling led to a settlement in which my client was paid $200,000,000. Co-counsel for one of several defendants and liaison counsel for defendants in nationwide consumer class action alleging price fixing in the domestic airline industry. The case eventually settled on favorable terms. Lead counsel representing former officers and directors of a public company in a class action filed in federal court on behalf of shareholders of the company. The district court granted client’s motion to dismiss under the Private Securities Litigation Reform Act. The Eleventh Circuit affirmed the dismissal on appeal. Co-counsel on behalf of the plaintiff in a copyright case in federal court alleging infringement of home designs. The case settled for more than $18,000,000. Co-counsel in state habeas case challenging the conviction of a death row inmate in Georgia. The Georgia Supreme Court reversed the conviction and after the District Attorney elected not to retry the case, the inmate was released from prison. Co-counsel on behalf of female plaintiff who filed Title VII claim after denial of promotion to partnership at major Atlanta law firm. The district court dismissed the complaint and the Eleventh Circuit affirmed the dismissal. The case settled after the United States Supreme Court reversed the dismissal, holding that Title VII applies to partnership decisions by law firms. Lead counsel representing former employee sued by public insurance company for breach of restrictive covenants. The litigation settled following favorable rulings by federal courts in Georgia and New York.